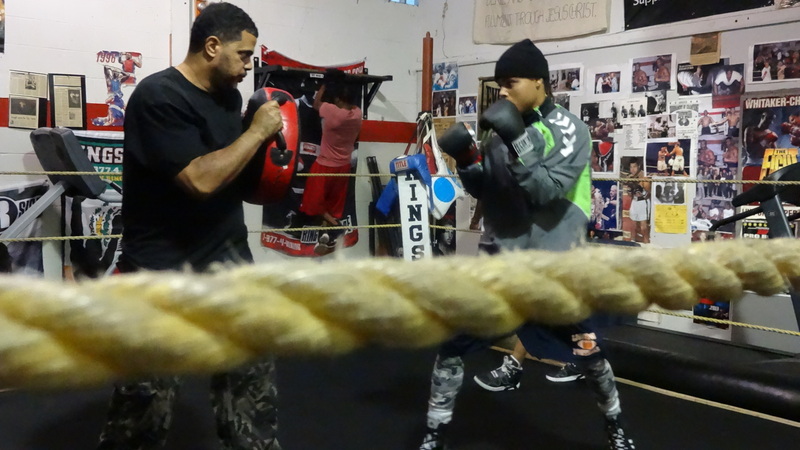 Seventeen-year-old Mohamed and his younger brother Omar, 15, are first-time boxing students in downtown Syracuse. One month after moving across the country, the boys sought out activities to help them settle into life away from their former home in Ft. Worth, Texas. 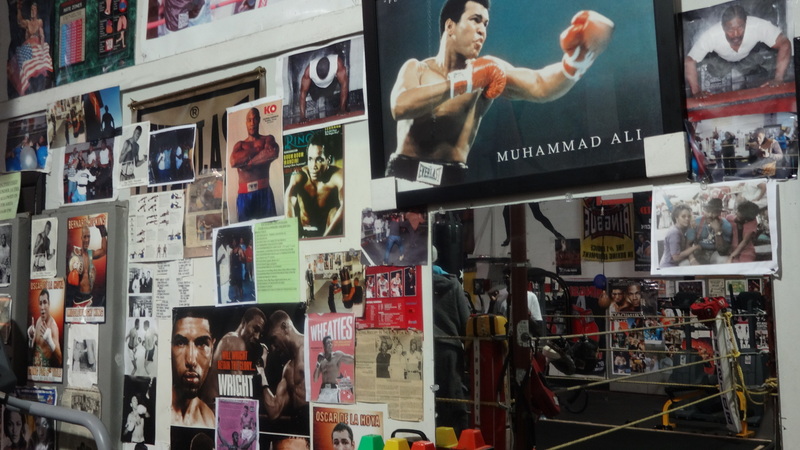 “If we couldn’t box, maybe we would do karate but it’s a lot of money and we just moved here and didn’t want to ask our mom to have to do that so we asked to do this,” said Omar. On their first day of boxing, the boys joined their semi-professional peers, delving right into treadmill running, sit-ups, and jump rope warmups before weight training on new equipment. While Faith Hope Community Center’s daily activities include healthy meals, meditation and homework help for students in Syracuse’s Southside neighborhoods, most of the resources for the program come from the volunteers and co-owners in hopes to sustain the staple program of the center: their youth after-school boxing program. The Center’s boxing program has been able to address issues like violence, bullying, trauma and frustration by encouraging youth to focus their energy on the competitive sport of boxing. “Most of the kids who they say are violent and no one else wants to deal with, those are the kids we want to deal with,” said Bob Harrison. For students like Mohamed, the draw to the boxing program was the ability to feel safe and learn self-defense. Thirteen-year-old Lemorris Dexter said that after a recent Syracuse Police Community talk-back at the Center, his father recommended he consider boxing to help channel his temper. 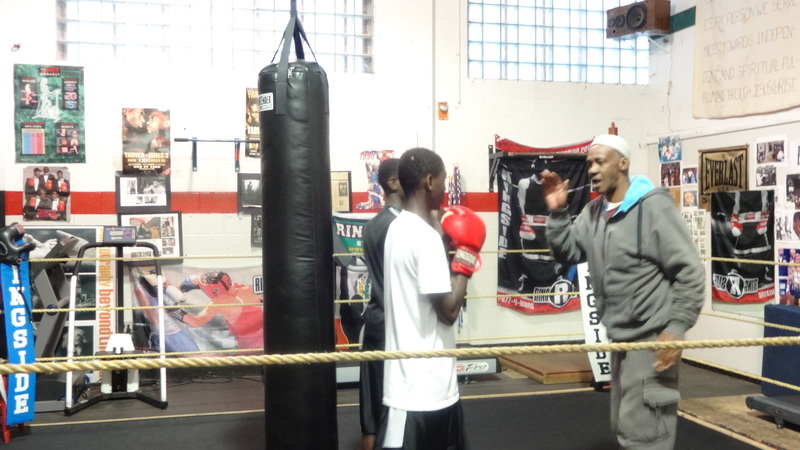 With a growing need to teach youth, the Center sought out resources to help adequately train aspiring boxers. Young athletes, like Onondaga Community College freshman Elijah Johnson, have trained at the Center for two years. 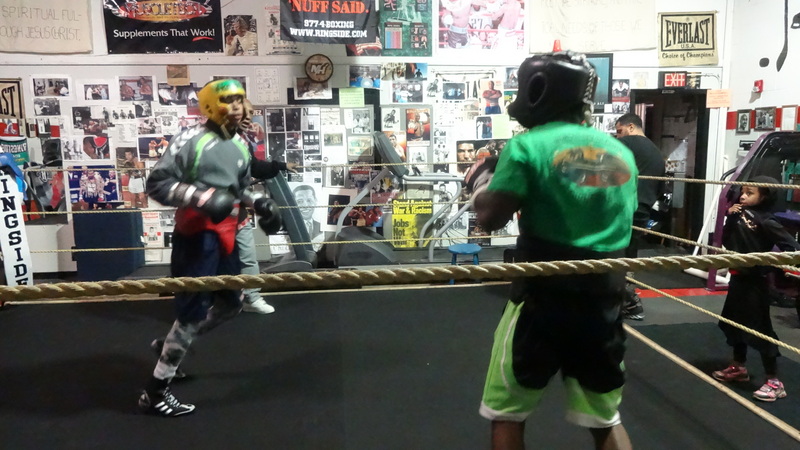 He recently won the 2014 New York State Golden Gloves Championship in his weight-class. Likewise, his friend and sparring partner, Shamar Lutchman, 17, also trains at Faith Hope, starting with the hope that he would be able to learn to defend himself. Shamar recently won in his weight class at the St. John International Boxing Program in Buffalo. The trainers are not alone in their mentoring. Harrison describes the center’s environment as encouraging because of the frequenting of past and present professional boxers who volunteer with youth in the boxing afterschool program such as welterweight Daria Hill. The help of a small grant from the Central New York Community Foundation allowed the Center to purchase kettle bells and a multi-purpose weight machine to advance the quality of its boxing program. Board member Irene Aurora says that the equipment was a much needed help and allows the trainers to focus their resources on taking students to their competitions and growing the capacity of their program in Syracuse. “Working with these guys is what the trainers do. This helps them do what they do best,” she said.